And the winner is ……………. the lovely Katie of Salt & Chocolate! Congrats Katie. 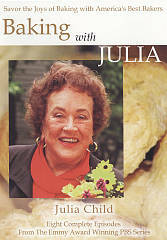 There is only one baking book you really need, I consider it to be the baking bible. 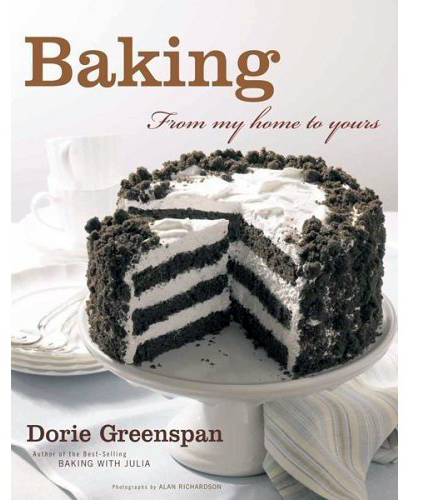 That is Dorie Greenspan‘s book Baking from My Home to Yours. I swear by this book and not only do I use it for TWD but I always open it first when I need a little something something sweet to bake. Dorie was nice enough to donate this book for us to give to you with our “Chez Us 2009 Favorites”. You will go back to this book time and time again, I promise! We met Celine during the Pebble Beach Food and Wine show and instantly hit it off. Before we knew it our conversation turned away from New York and Paris, two of our favorite places to go, to another favorite of ours, truffles. It ends up her company supplies truffles to some of the top restaurants in the country. A couple weeks after we got home she sent us a package as she wanted us to sample her truffles and to write about them. 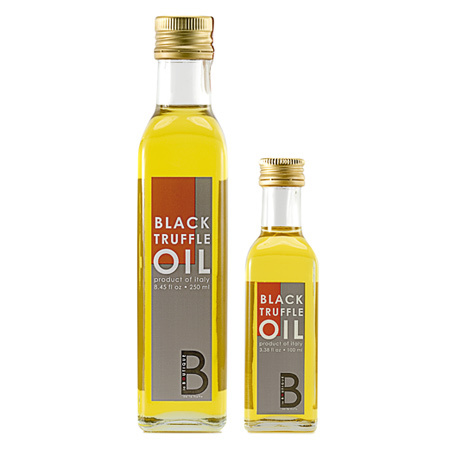 Once of our favorite products is her black truffle oil. We love drizzling it over pasta, grilled pizzas, or adding to truffle butter, the possibilities are endless. I was mentioning to Celine a few weeks ago that we were giving one lucky reader a package with a few of our favorite things and she was kind enough to send us a bottle of the truffle oil to share with you. Almost a year ago I got an email from David from Earthy Delights. David mentioned to me that he liked what we were doing and thought he had some products that he felt would be perfect for us. A couple weeks later we got a package in the mail full of wonderful items and we loved all of them. 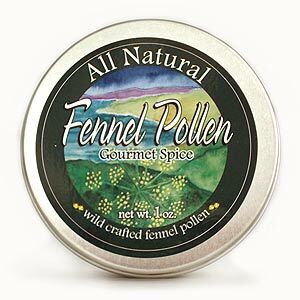 One product that I reach for very often is the Fennel Pollen. I love mixing it with roasted veggies, sprinkling over a salad or rubbing into a piece of meat before grilling. David was delighted to send some fennel pollen our way to include with our give away. You are going to be thanking him over and over again, once you try this! Leave a comment on this post – gives you 1 entry; want to have a better chance to winning, then …. 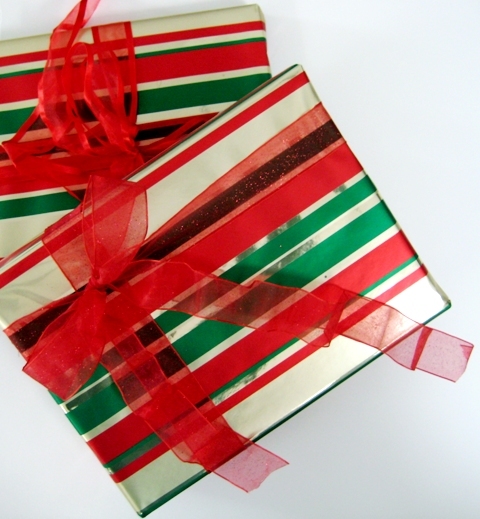 Winner announced on December 27. Good luck and happy holidays. In addition to the above give away, please do not forget about the Menu for Hope 6, there are fantastic items to bid on and the cause is very worthy! 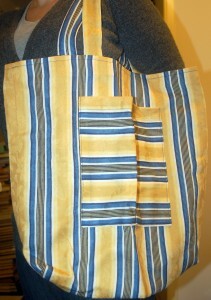 32 Responses to "Our gift to you | Chez Us 2009 Favorites"
What a great foodie gift...especially your mother's bag. I am keeping my fingers crossed! What a awesome Christmas giveaway! I am dying to use that Dorie Greenspan book! Thanks! These are fabulous! Subscribed to the newsletter too! great gift bag! I love the Greenspan cookbook too, always wonderful for new ideas. Happy Holidays! Oh sorry...'manners'??? HAPPY HOLIDAYS TO BOTH OF YOU!! Oh this is great! Merry Christmas! Love your mom's cute bag filled with foodie swag. Happy Holidays to you & Lenny! Lovely idea! That bag is great, and you manage to make it even more fab with all these gifts! You're added to my reader already.. off to subscribe! Love your mom's market bag and foodie swag. Happy Holidays to you and Lenny! It's indeed the time to be jolly! The goodie bag is fantastic - very kind of you to share your favourite things. Just subscribed to your DailyDish. :) Wishing you guys Boas Festas and an excellent year of 2010! The fennel pollen looks great! Crossing my fingers! HOLY COW! That is a crazy generous giveaway! Are the extra entries only for new subscibers though? I've been one for months! Wow, what an awesome holiday giveaway. Merry Christmas, you guys! Sweet giveaway! How cool your mom makes those! I like. Well, I like all of the prizes. :) Happy holidays you two! Oo crossing my fingers! Happy holidays guys!! Great Idea! I love the stories that go along with why the items are in the bag! Great giveaway! I just subscribed. Happy Holidays and good luck to everyone! Of course, if I win, you'll be feeding me in more ways than one, so I'll make another donation to the Skirting Hunger Asian Food Pantry- Ricesticks and Tea. Merry Christmas to my favorite foodie couple! and of course I already subscribe to your awesome newsletter!